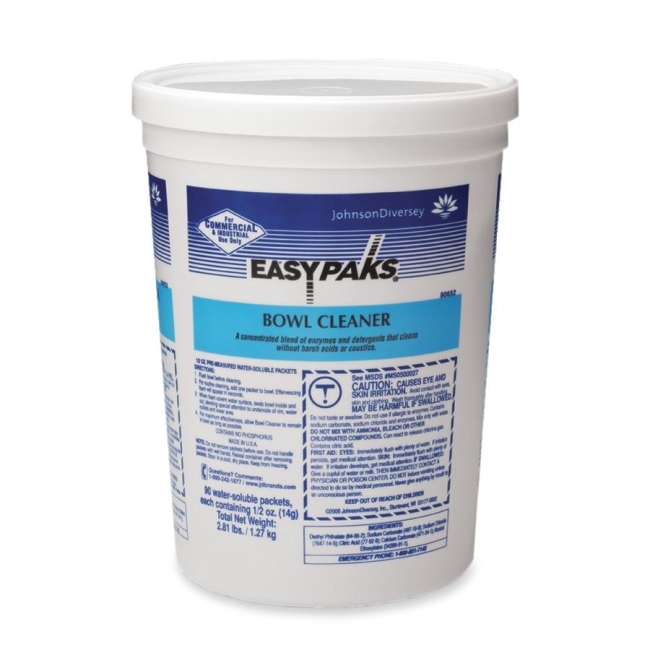 Premeasured, water-soluble daily toilet bowl cleaner effectively cleans with effervescing foaming action that breaks down and removes organic wastes, hard water scale and urinary salts. Cleaner leaves only pleasant lavender fragrance. Cleaner is easy to use with no measuring or waste. Simply drop one in the toilet bowl, and it quickly dissolves and cleans.